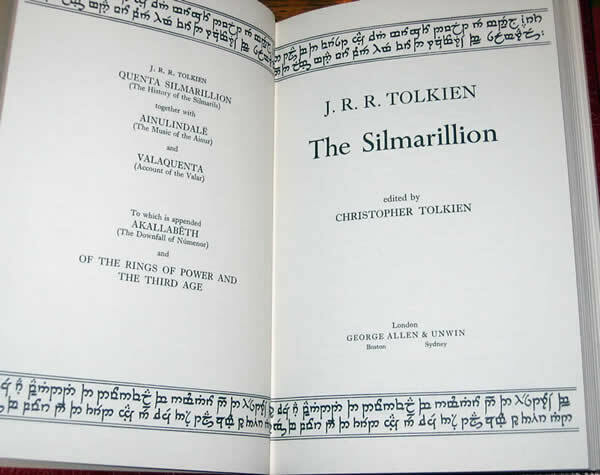 Super Deluxe Silmarillion - JRR Tolkien - published by Allen & Unwin - SOLD A Fine example of the very hard to find Super Deluxe Collector's Edition. This is copy number 102 of the first one thousand copies off the press of the first edition of The Silmarillion by J.R.R. 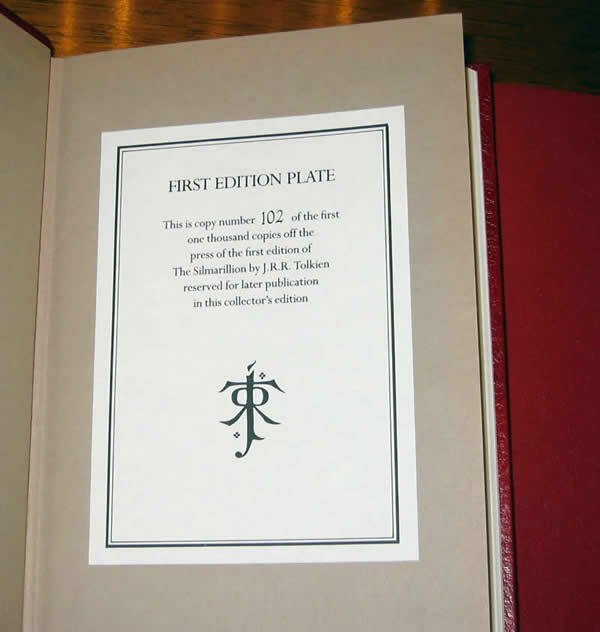 Tolkien reserved for later publication in this collector's edition. A Fine example of the very hard to find Super Deluxe Collector's Edition. Collected and edited by Christopher Tolkien after his fathers death. 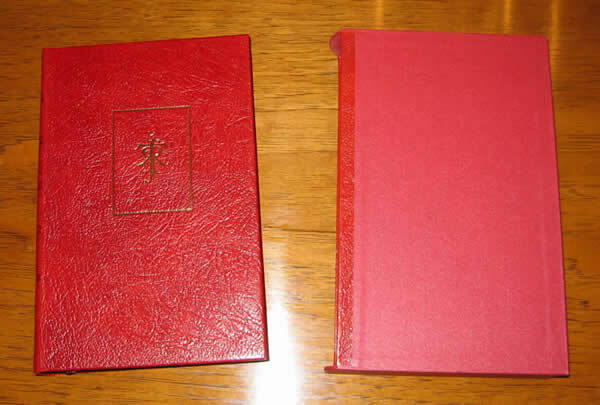 Original publishers full red leather binding, with cloth and leather slipcase, as issued. The book features red silk ribbon marker bound in, raised bands and gilt stamped Title, Author, and Publisher on the spine. The front boards features the JRRT Monogram gilt stamped in single ruled box. 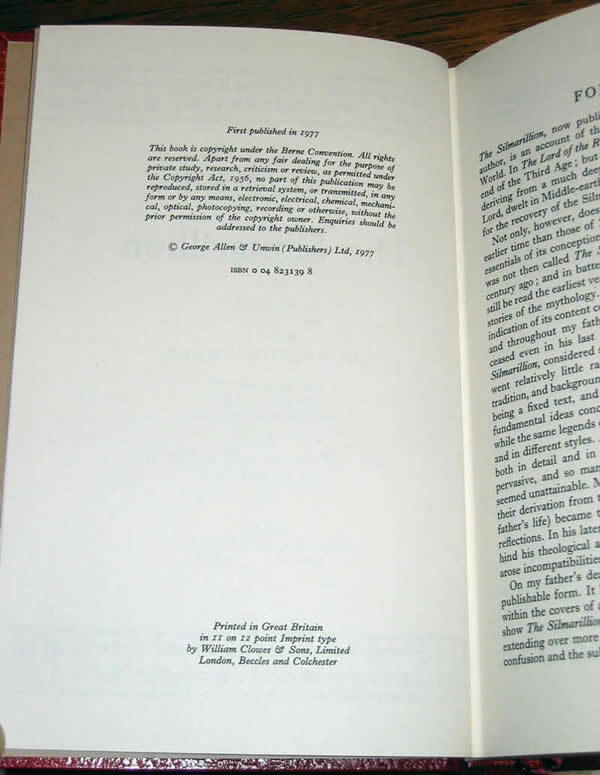 On the first free endpaper, the Publisher's Limitation Plate, gives the Limitation number of 102 of 1000. A striking example of a very hard to find book.